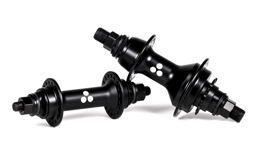 Spec’s of high-end hubs, but at an affordable price. Fully sealed, Heat treated 4130 Cr-Mo axle and low profile 6061-T6 CNC machined hub shells. 9-tooth Cr-Mo driver and Cr-Mo cone nuts made for durability but which are machined to be as light as Aluminum. To create a strong but affordable sprocket, we used 4130 Cr-mo material instead of Aluminum. The result is a durable sprocket with minimum increase of weight. Simple design 6061-T6 Forged Front and Top load stems with material on the right places. The cool thing about Forging manufacturing procedure is that it compresses the material to offer the same strength as CNC stems. To avoid the ugly and sometimes "ankle biting" pinch clamp, we used the patented “ICS clamp system” which creates a more effective and cleaner clamping interface. 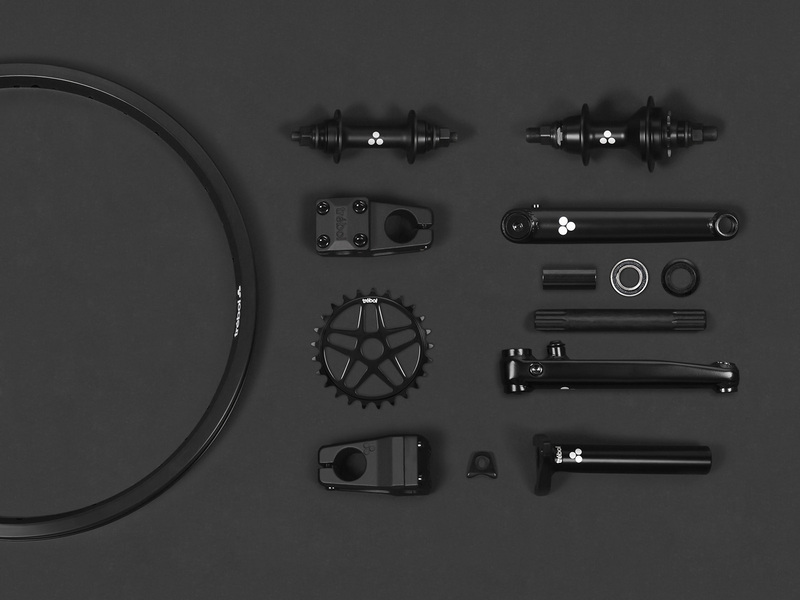 The arms have a “D-shaped” construction for increased strength, and includes a Spanish Bottom Bracket set. The double sidewall construction, “Piramidal” structure and thicker single wall center combination, provides very close to the same strength of a double wall rim but at a single wall rim price. 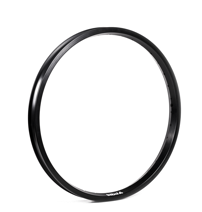 Another original feature is the rounded tire bead lip which helps prevent flats. 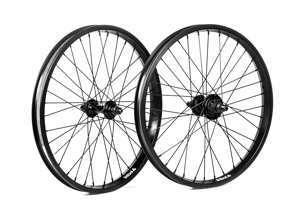 Combine our hubs, rim and heavy duty steel spokes and you have a killer wheelset. The Trebol post features a strong 2 piece 6061-T6 aluminum construction with only a few grams more than the high end Tripod 1 piece post. 135mm Long. Check all the warranty details & distributors worldwide. All Trébol products are warrantied from defect in workmanship and materials for a period of one year. This warranty is for the original purchaser and non-transferable. This warranty does not cover damages such as dented or bent tubes, damaged bearings, stripped threads, normal wear or anything other than defects in manufacturers workmanship and material. If an item is deemed defective under the conditions stated above, bring or send the product and original receipt to the location of purchase. As soon as the location of purchase receives the product, they will get in touch with our local distributor to replace the item in question. If you have any problem during this procedure, email us at: warranty@trebolbmx.com. Let us know if you have any question, feedback, etc.